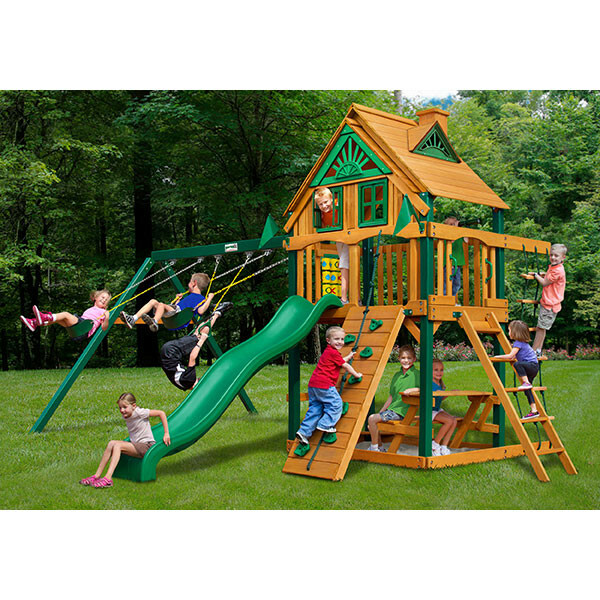 The popular Chateau II swing set from Gorilla is now new and improved, turning it into the Gorilla Playsets Chateau Treehouse. It still has all of the same great accessories but now features a deluxe wood roof with a sunburst design and two windows with real working shutters. 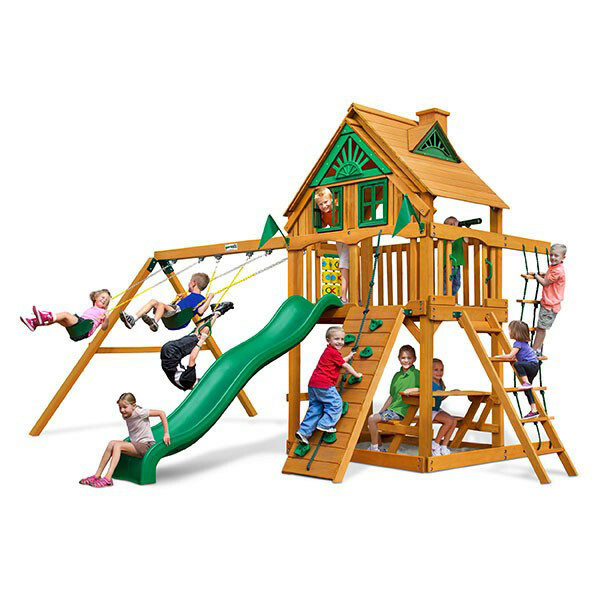 Not only will kids love climbing to the top of the 5 foot platform, but they will really feel like they’re in a treehouse with the cool, more enclosed design. 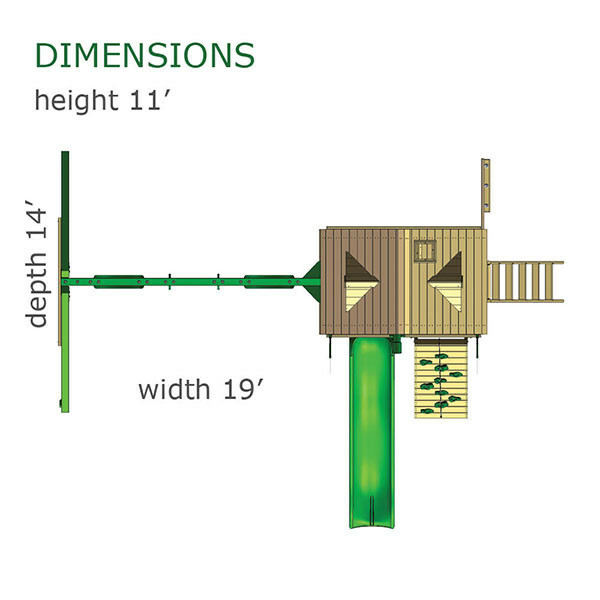 The Chateau Treehouse has three fun ways to climb including a rock wall with a rope for assisting some of the smaller users, a safe entry ladder, and a climbing rope ladder. Getting back to the ground is a blast down the Alpine Wave Slide and once there kids can choose to swing on one of the two belt swings or the trapeze swing. There is also an area for a sandbox and a built-in picnic table for resting or enjoying a snack. All of this comes in one ready to assemble package that includes all of the necessary hardware and lumber for construction. The lumber is all pre-cut, pre-drilled, and pre-stained for ease of assembly and the illustrated instructions are a breeze to follow.